Complete with Pull-out Map. Ex Library Book with usual stamps and stickers. Good condition is defined as: a copy that has been read but remains in clean condition. All of the pages are intact and the cover is intact and the spine may show signs of wear. The book may have minor markings which are not specifically mentioned. Most items will be dispatched the same or the next working day. Very Good. 272 p. Travel Guide . 34 maps. 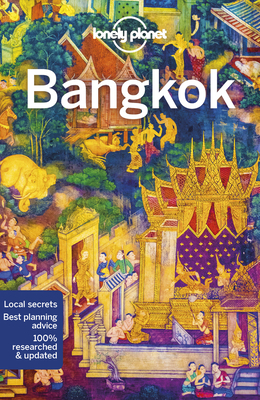 Lonely Planet Bangkok is your passport to the most relevant, up-to-date advice on what to see and skip, and what hidden discoveries await you. Visit a hidden market, take a boat trip and stroll around Banglamphu; all with your trusted travel companion. Get to the heart of Bangkok and begin your journey now!